Moving your children into the classroom environment of Kindergarten is a big decision. Some parents know when their child is ready for this transition. However, others struggle to figure out if now is the right time. Age is actually not the most important factor when determining Kindergarten readiness. Emotional, physical and cognitive development are the key factors you should take into consideration when making this decision. In many ways, Kindergarten is considered to be the new first-grade. The academic and test requirements have increased, and parents who want their children to excel in this environment need to determine if their children are mature enough to handle the added pressure. How Do Birthdays Affect Kindergarten Readiness? Most children go to Kindergarten at the age of five. However, if your child’s birthday is in the late summer or fall, there’s a little more flexibility. 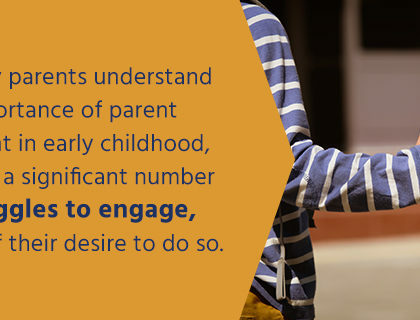 Many parents relish the idea of their children getting a head start at school, and will send their child to Kindergarten as soon as it’s permissible. However, just because a child is five doesn’t mean they’re developmentally ready. To ensure their child has the greatest chance of success, many parents choose to “redshirt” their child. This means holding them back for a year with the hope that this will give them an advantage over younger peers. If your child is almost five, but you feel they are ready for Kindergarten, you need to find out your school district’s cutoff date to see if they’re eligible to attend class. Sits still long enough to listen to a story or participate in an activity. Able to go to the bathroom by themselves. Manages emotions adequately and exhibits self-control. Gets along with other children and can work in a group. Has basic knowledge of shapes and can recite the alphabet and count. Can handle fine motor skills like holding a pencil or using scissors. Shows interest in books and learning new things. If you have any hesitations about moving your child on to Kindergarten, you may want to consider a year of pre-K education before continuing on. FishCreek Kids Academy offers early learning programs for children up to five years old. We provide small class environments that allow children to grow and thrive. In fact, we’re so more than your typical preschool. Different subjects are taught in an engaging educational atmosphere that gives your child all the skills they need to prepare them for Kindergarten. If you’re a parent living in Magnolia, Montgomery, Conroe, The Woodlands or any of the surrounding areas, contact us for more information.